Last week, my cousin asked me to help her with her blog. She tasked me with deleting spam comments and prettying up the blog's appearance. While I was working on her's, I decided to make some minor changes to my own blog. From now on I'll be going by Aji LaStrange. Caffeine's Cafe is now Cafe LaStrange. Aji was a nickname that I adopted around 10 years ago and that is what most of my friends know me by. As for the last name, I went with LaStrange because...Well, I am a bit strange. 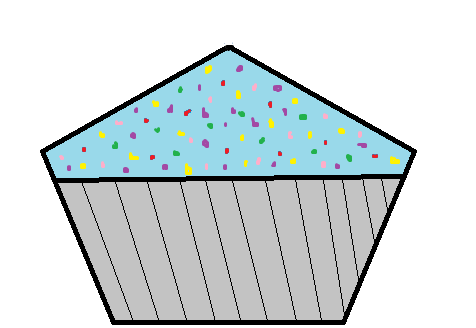 To celebrate this occasion, here's a crappy picture of a cupcake that I made on MS Paint for a friend's birthday.